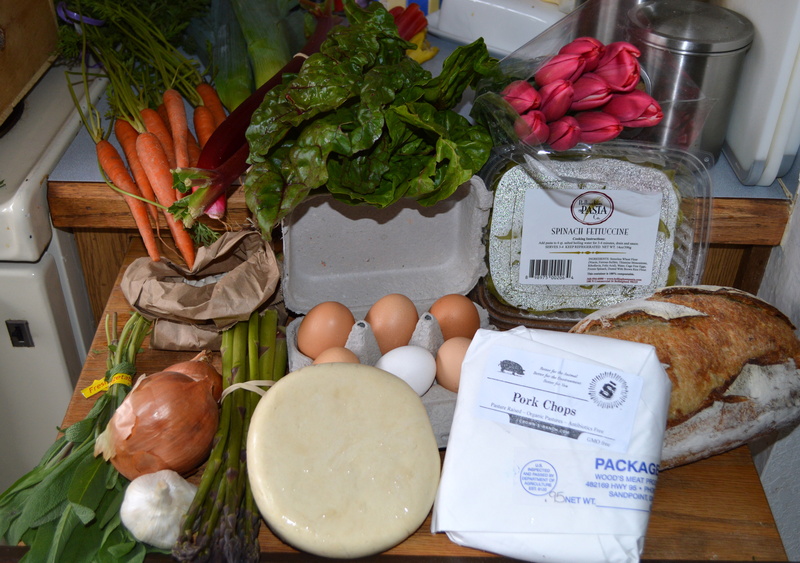 Look at this, still getting my lovely CSA box, there hasn’t been a break yet. Sorry I haven’t been keeping up with it but it’s not because it has been lacking. Not sure where all the food is coming from but it’s all organic. We get a nice little surprise once in a while too. This week locally grown tulips from the Skagit Valley. I have the beans soaking so I can make the pot pie tomorrow. It sounds yummy! I love your CSA boxes!!! The produce looks so good! It really is good. There is so much that I can hardly use all of it and have to give some to my kids if they want it. Every time I read one of these posts, I wish we had a CSA program like yours around here! You get such a good variety! I feel very fortunate and love the variety as well. Not just a little bit of produce but enough other stuff to make 3 or 4 meals.